WASHINGTON - The Justice Department says it won't prosecute former Ferguson, Missouri, police officer Darren Wilson in the shooting death of an unarmed black 18-year-old that led to weeks of protests. 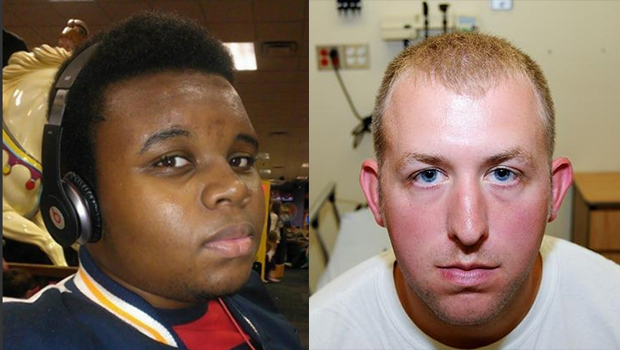 Federal officials concluded there was no evidence to disprove Wilson's testimony that he feared for his safety, nor was there reliable evidence that Michael Brown had his hands up when he was shot. The results of the federal investigation were leaked late last month. As the announcement that Wilson would not face federal charges was released, the Department of Justice announced that it concluded in a parallel investigation that the city of Ferguson displayed sweeping patterns of racial discrimination against the black community. In a statement after the announcements, Brown's parents,Lesley McSpadden and Michael Brown, Sr., said they were disappointed, but accepting of the results. "While we are saddened by this decision, we are encouraged that the DOJ will hold the Ferguson Police Department accountable for the pattern of racial bias and profiling they found in their handling of interactions with people of color," the statement read. "It is our hope that through this action, true change will come not only in Ferguson, but around the country. If that change happens, our son's death will not have been in vain." One of Wilson's attorneys, Neil Bruntrager, said his client was satisfied with the outcome. The decision in the August 9 shooting on Wilson had been expected, in part because of the high legal standard needed for a federal civil rights prosecution. Wilson, who has said Brown struck him in the face and reached for his gun during a tussle, also had been cleared by a Missouri grand jury in November and later resigned from the department. In a speech after the announcement was made, Attorney General Eric Holder defended the investigation as "fair and rigorous from the start." Holder acknowledged that the results may seem incompatible from what was widely reported, namely that Brown's hands were raised when Wilson shot and killed him. "This outcome is supported by the facts we have found -- but I also know these findings may not be consistent with some people's expectations," Holder said. Holder said the confrontation between Brown and Wilson, as well as the wider rioting that followed, were almost certainly the result of the "highly toxic environment, defined by mistrust and resentment, stoked by years of bad feelings, and spurred by illegal and misguided practices" committed by the city of Ferguson and detailed in the conclusion of their other investigation. Sources say the FBI interviewed more than 200 people, and agents have reviewed numerous surveillance tapes and cell phone videos which captured part of the fatal incident. The Aug. 9, 2014 shooting sparked protests around the country over the use of force by police officers, amplified by a Missouri grand jury's decision in November not to indict Wilson. Demonstrations also erupted following a similar grand jury decision in the police chokehold death of Eric Garner, an unarmed New York City black man. The protests stoked fierce debates about the relationship between law enforcement and black men in America. In January, the NAACP Legal Defense and Educational Fund asked a Missouri judge to convene a new grand jury to consider charges against Wilson, citing "grave legal concerns" with the original case. It also requested that a special prosecutor be appointed to oversee the case and for an investigation to be launched into the grand jury proceedings. One of the grand jury members has filed a lawsuit against St. Louis County prosecutor Bob McCulloch, contending that he has wrongly implied that all 12 jurors believed there was no support for any charges. The unnamed juror wants to be allowed to talk publicly about the case but could face charges for doing so because of a lifetime gag order. In the suit, filed on the juror's behalf by the American Civil Liberties Union, the juror also says he or she came away with the impression that evidence was presented differently than in other cases, with the insinuation that Brown -- not Wilson -- was the wrongdoer. The plaintiff wants to speak about whether St. Louis County prosecutor Bob McCulloch's release of recordstruly provided transparency and raised questions whether the grand jury was clearly counseled on the law. In a December interview, McCullough said some witnesses who testified before the grand jury "clearly" lied under oath, but that they would not be charged with perjury. Throughout the state investigation, critics called for McCulloch to either step aside or for Missouri Gov. Jay Nixon to appoint a special prosecutor, citing concerns about whether McCulloch could fairly oversee the case. McCulloch's father was a police officer killed in the line of duty by a black assailant in the 1960s.